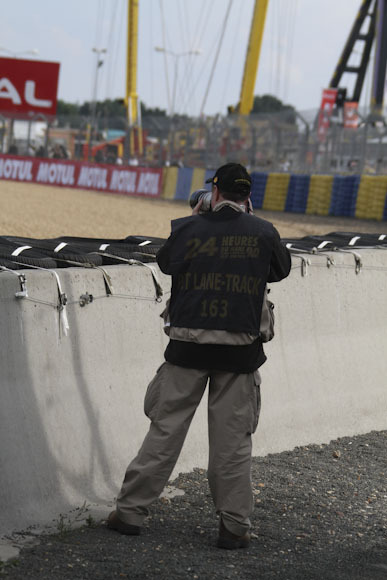 So, donning a pair of trousers is not rocket science you might say, but having the right gear for the right job is essential because trooping around the Le Mans circuit for the 24-hour race is tougher than you might think. Firstly, it is summer in France, and it can get hot, real hot and steamy, but in an instant it can pour with rain. And some years it has even been freezing cold in June, so having the right gear requires some careful planning. I am not one to purchase an item of clothing because it has the right label, or because it’s the current trend, so unfortunately for the big brand names their advertising spend is wasted on me. However, if the company has a real social programme and helps folk along the way to get employment, ploughs money back into the operation and helps those less fortunate than ourselves, then I am all for it. The Páramo story started back in 1984 when Nick Brown had a dream to make outdoor clothing that served a specific purpose, and did the job well. It’s a twenty-one year story of growth and development, so I will summarise it here for the reader. Páramo is an area of the Andes above the tree line but below the snow, and trial garments were put to the test in this region. Production started in Bogotá, Colombia in 1992, where Nick Brown found a workshop employing around a dozen ladies using just two machines. The workshop was run by the Miquelina Foundation, which had been set up by a Columbian nun to help desperate women learn trades and earn money, women who up until that time had faced no alternative to a life of prostitution. Nick’s meeting with the Mother Superior was indeed fruitful, and there are today around 150 women employed at the factory, making some 4,000 garments every month, on 120 machines. A kindergarten has been set up for their children, and lessons in literacy and formal training are now also provided. Today most employees have a formal qualification, and the factory has gained the coveted ISO 9002 Standard. In May an email to Páramo UK set the ball rolling, as they specialise in outdoor as well as photographers’ apparel, and so I thought they would have the right gear for my work as a motorsport photographer. There were just three weeks to go to the 2013 Le Mans 24-Hour race, and so once I had settled on the desired item, colour (sedge) and size, the process was set in motion and the Maui II cargo trousers were on their way to me. The key to a good pair of photographer’s trousers in this game is that they must be light (unless you do winter work), have plenty of pockets and be able to dry quickly after those inevitable showers. In this respect the Maui II cargo trousers ticked all the right boxes for me, as they are constructed from quick drying, to you and me, or rapid evaporation fabric in the trade, Parameta A Cotton+ (a blend of cotton with modern synthetics). 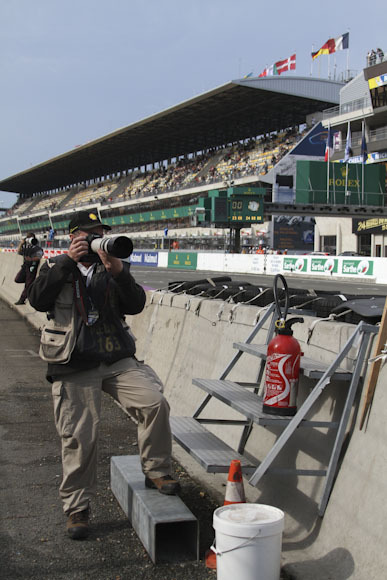 To appreciate why it is important for a photographer to have the right gear at Le Mans, and other motor races, it helps to understand that a motorsport photographer has to lug heavy camera gear around the various tracks – the Le Mans circuit is 13.5km long! This obviously involves a lot of walking to various spots on the track in all weather and standing photographing, sometimes in the pouring rain, taking those all-important photos. And during this time you have to be comfortable – neither hot nor cold – in short, you need clothes that dry quickly and are breathable. The lightness of the fabric was therefore a big plus because the weather encountered this year was by and large hot and humid, with intermittent showers, and the trousers dried quickly as expected. The Maui II cargo trousers are light and breathable, and this made them a winning item for me. I felt comfortable all day. Another big plus point are the large and deep cargo pockets which can swallow all manner of things. The one cargo pocket even has an additional internal zipped compartment inside the cargo pocket for safe storage of say car keys, making this a ‘pocket within a pocket’ – that’s pretty neat! However, one criticism I have of the cargo pockets is the fastening system. Páramo would do well to consider replacing the traditional buttons on the pockets with press studs, because from a practical point of view, I found myself fighting to undo a button with one hand, while the other was occupied with holding my heavy camera. The depth and size of the pockets though gets top marks. Another minor criticism is the belt, which comes with the trousers. This proved to be rather flimsy when considering that it has to hold my 400mm zoom lens in a pouch attached to the belt, while I traipse around the circuit. I therefore simply replaced it with my own belt. A big plus for Páramo as a company though, is their recycling scheme, which I found out about on their website: Páramo recycles old garments by either finding a new home for them or recycling them into new fabrics and as a reward they even give the customer a generous discount on a new Páramo product. So, all things considered, the excellent quality of the product and Páramo’s ethics really impressed me and I will, wherever possible, acquire my gear from Páramo in the future.